petition: Tell Secretary Zinke: Protect elephants and lions! 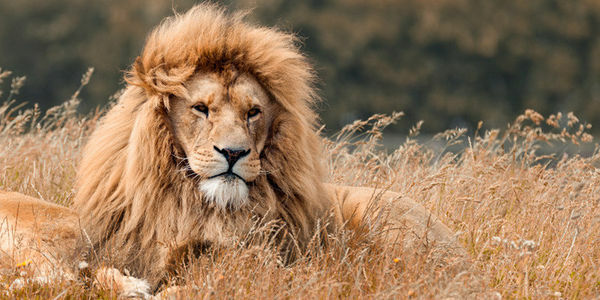 Tell Secretary Zinke: Protect elephants and lions! In a total departure from a position taken by President Trump late last year when he called trophy hunting a "horror show," the U.S. Fish and Wildlife Service (FWS) has signaled it will move ahead with its enormously controversial decision to allow U.S. trophy hunters to import elephant and lion trophies from Africa, albeit on a case by case basis. With this announcement, the FWS is attempting to do an end run around a U.S. court of appeals order from December that requires the agency to solicit public comment before making decisions about whether trophy hunting in a particular country promotes the conservation of a species threatened with extinction. This move will dramatically reduce transparency and undermine efforts to protect elephants and lions in Africa, whose populations are already under threat due to poaching and unsustainable levels of trophy hunting. Tell Secretary of the Interior Ryan Zinke this is unacceptable and demand that FWS reinstate the ban on issuing any elephant or lion trophy import permits, and adhere to a public rulemaking process before issuing any import permits. Please stand with our president, who called for an end to the "horror show" of trophy hunting, and reinstate the ban on the importation of elephant and lion trophy imports from certain countries. We also urge transparency in the process of reviewing all wildlife trophy import decisions. We should be doing everything in our power to protect these beautiful creatures, who are already under threat due to human's actions. This move by FWS will only serve to further undermine conservation efforts, and it must not stand.